Yes! Mercedes-Benz commits to their luxury brand and pays very close attention to detail in everything created for the brand. In the line of Mercedes-Benz merchandise, you can find Mercedes-Benz apparel, home decor, phone cases, and even watches. Now you can match your Mercedes with one of the many Mercedes-Benz accessories available. When it comes to other Mercedes-Benz accessories, you’ll find wallets, sunglasses, and even winter scarves. Check out all the accessories available and choose what best suits your style. These will complete any look while showing off the Mercedes logo found on all Mercedes-Benz merchandise. During your next stop at our service center, check out the Mercedes-Benz merchandise for yourself or as a gift for another Mercedes-Benz fan. Want to learn more about the Mercedes-Benz merchandise available, or about our inventory? 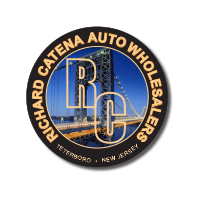 Be sure to contact us at Richard Catena Auto near Newark. 0 comment(s) so far on Is There Mercedes-Benz Merchandise?